'Under The Boardwalk, ' 'Stand By Me,' and the music of The Drifters represents the original beach music and is a no-brainer for Eastern North Carolina. Mark Sonder, MM, CSEP and the Chief Entertainment Officer at the award-winning music and event entertainment agency Mark Sonder Productions, Inc. is proud to announce a new office location. 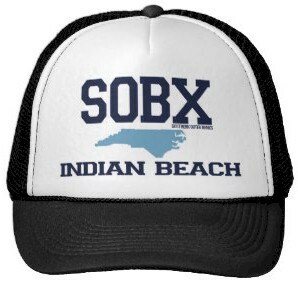 This office is located on the property of The Ocean Club Luxury Resort, Spa, and Conference Center on Emerald Isle, North Carolina to fill the growing need for musicians, bands and headline entertainment in the Raleigh-Durham, Charlotte, and the Southern Outer Banks (SOBX) regions. Having reps around the country has been an important element in the success of the 29 year old company with its corporate headquarters in the Washington DC area. Reps are located in New York City, Washington DC, Florida, Texas, Las Vegas and California. Although more of a seasonal destination Emerald Isle has been growing as well. There is now a need for an agency to book their music, entertainment, DJ's, and headline entertainment through its various hotels, and of course at the Conference Center. Sonder and his company are delighted to fill that niche. "We launch on July 1," says Mark Sonder, a Certified Special Events Professional and the Chief Entertainment Officer at the company. "From weddings to corporate events we will cover it all, and what better location to have then on the premises of The Ocean Club," continues Sonder. The company will feature various bands including beach, shag and cover bands plus a female DJ. Of course the company's regular headliners make their rounds including: homegrown Linwood Peel's Tribute to The Drifters for that original beach music and other well-known national ensembles. Calls for this new office location are being fielded by their National Sales Office at 202-369-1063.